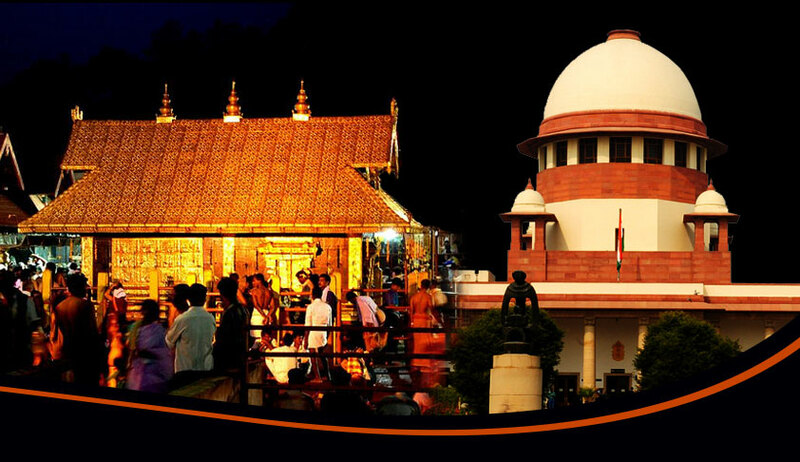 The Travancore Devaswom Board has filed an application before the Supreme Court seeking further time to implement the constitution bench judgment allowing women to enter Sabarimala. In its application, the board says it is 'duty bound' to implement the judgment in ‘letter and spirit’, but is facing certain practical difficulties in that regard. The board said that judgment has evoked strong response from certain people and political parties and has led to severe law and order problems in the State and in nearby areas around temple. Resistance faced by a few women who tried to enter the temple has also been brought to notice of the court. It says that 1000 women have already registered their name to visit the temple during the pilgrimage season, but it is not in a position to provide them security and additional facilities. Terming the protests as ‘acts of hooliganism’, the board said that even unprecedented security and efforts of state authorities have not discouraged protestors from threatening and impeding women devotees who want to visit Sabarimala. It also mentions that infrastructure and facilities at Pampa and other places were affected due to unprecedented floods and it would require some time to make additional arrangement to cater to the entry of women and to ensure their safety and well being. It also said that Central Empowered Committee has raised objection with regard to utilization of forest land.